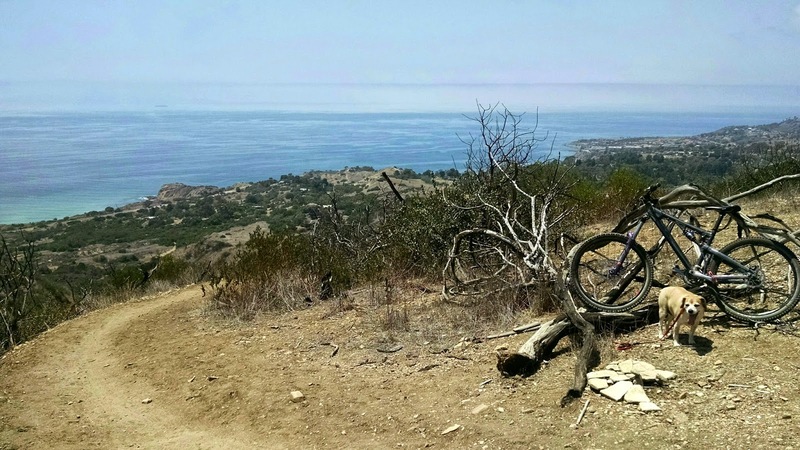 Our regular guest contributor, Christine T., shares with us her discovery of a gem of a riding spot for mountain bikers along Southern California's coastal hills. 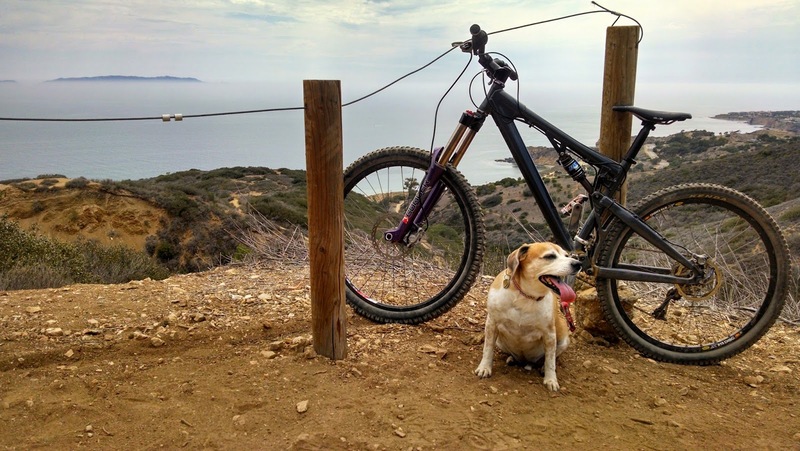 The collection of trails offers tremendous variety for riders of all skill levels and offers up an opportunity to see some of CA's most gorgeous scenery, especially at sunset. With over 600 feet of elevation to bomb down Del Cerro attracts all types of riders from hard tails to double crown 29’ers. Technically, the area where the riding takes place is Portuguese Bend Reserve and links with Forrestal Nature Reserve. Trails range from wide, lazy fire roads with moderate climbs to loose, technical downhills. 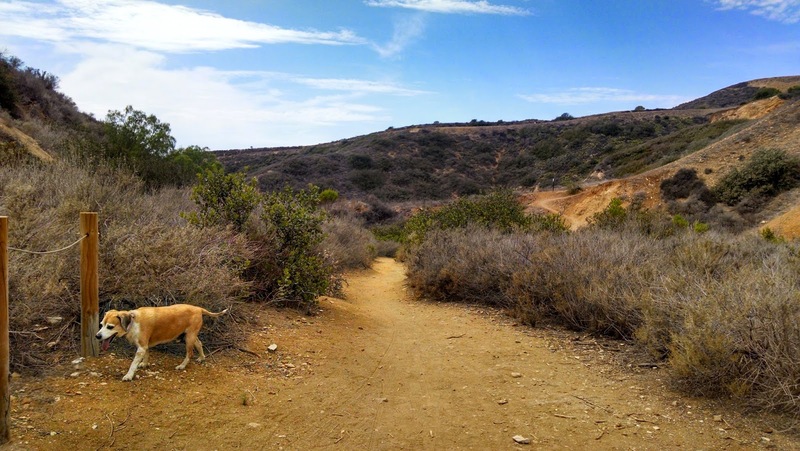 Although the park is open to bikers, hikers, and equestrians, not all trails are open to everyone, and no trail is unidirectional. On the upside almost all trails have great visibility, making on coming traffic a minimal issue. My first introduction to Del Cerro was a sunset [unplanned] evening ride around Forrestal Nature Reserve. Being that I was visiting, my friends had to bring all the gear, and it took a little bit before we started pedaling. We started from the neighborhood just below Ladera Linda Community Center and hiked our bikes up some stairs to the start of Fossil Trail. From there we did a quick warm up loop through Red Tail Trail to Cactus Trail and back to Fossil Trail, a relatively easy cross country loop. The start of Fossil trail is a short, moderately aggressive climb on single track. From there, it’s hike a bike unless you have quads of steel and an extra gear. We took a brief break after the climb for a snack. No, it’s not that long of a climb, maybe 15 minutes, but we were running on empty. My sister passed me a pack of Gu, which I gladly received with both hands. At this point the sun was completely down and we were very much in the dark, except our moon lit white helmets. We cautiously made our way to Flying Mane Trail. At one point, being on an unfamiliar rig, I contemplated testing it on a large ditch coming up. As I rode closer, the ditch was growing taller and taller. Thankfully, I changed my mind in time, or the small bush would have escorted me into the arms of some near by cactus. I followed the faint rider in front of me and anticipated every obstacle based on “AH!” and “UGH!” Luckily, I was riding the ‘55 Caddy of mountain bikes [Intense 5.5 VPP], which had enough rake and suspension to soak up anything the trails offered. From there we felt our way down Basalt Trail to Quarry Trail. The dirt was loose, sandy, and just a hint of rocky, providing so much fun we met up the next day to hit the trails around Portuguese Bend Reserve. From Del Cerro there are some single tracks laced on the edge of Burma Road, the wide, lazy fire road that winds from the top to the bottom of Portuguese Bend Reserve. Just off to the left, after a moderately technical, downhill warm up, is Ishibashi Trail. It squiggles along the side of the hill as the best trail in the area -- long, flowing and moderately technical. Of course once you go down, you need to get back up, and after a leisurely fun filled cruise down it’s a long climb back up Burma Road. Thankfully, you don’t need to climb all the way back up to catch another trail. About halfway back up Burma Road is a trail that takes you up another small hill to Eagle’s Nest Trail. Here you can take a breather under the few trees that dot the hillside or rest at the sitting area and take in the Pacific Coast. Eagle’s Nest Trail is a hair more technical than Ishibashi Trail but maybe only half as long but still very enjoyable. After two fun filled days I had to go back for more. I convinced my father to drop me off at the top and raced him back to the house. Starting from Burma Road to Ishibashi Trail back to Burma Road, I jumped onto Panorama Trail to Sandbox Trail. Panorama is a wide and easy single track but Sandbox -- not so much. As the name implies the dirt is thick and loose, just like if a sandbox had been dumped onto the trail. If you come off the bike, you may get sucked into the sand. It’ll feel like quicksand is sucking you in with every attempt to get back on your steed and sally forth. After a few days of Portuguese Bend Reserve, I decided to bring my cousin’s little beagle mix for a much needed run through Forrestal Nature Reserve. Going in, I hit many of the same trails as the first ride. After some time along Flying Mane, I found myself at a fork and went right. Pirate Trail is a short, steep, and technical trail. 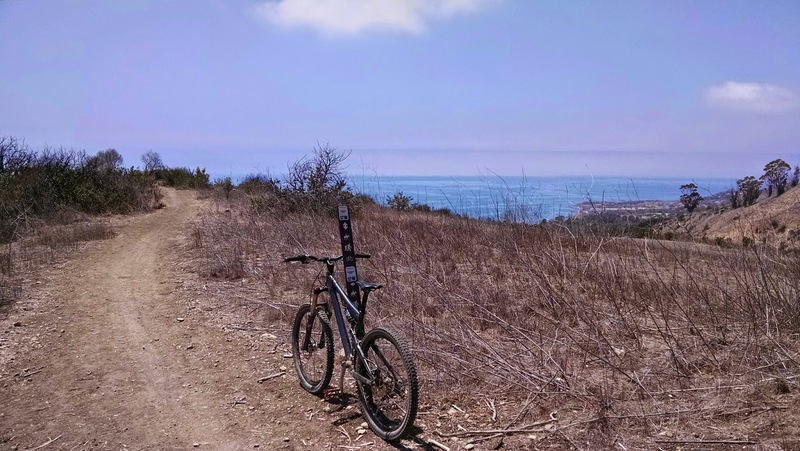 It mellows out towards the bottom, eventually becoming a wide, easy going single track that spits you out just above Ladera Linda Community Center. 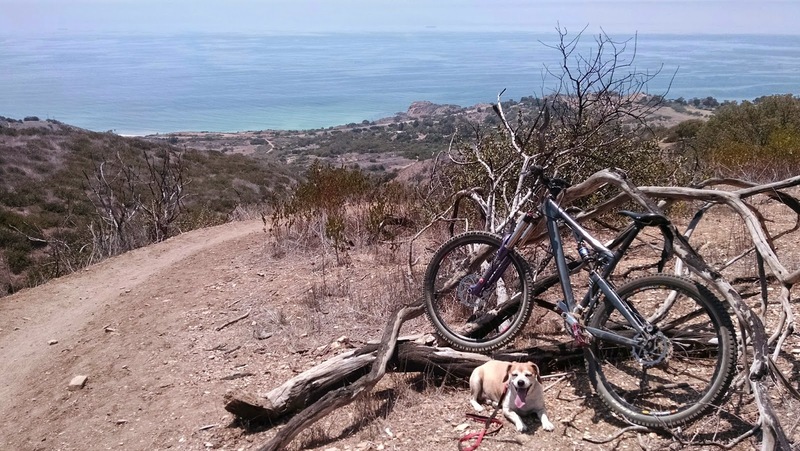 All in all, Del Cerro is a scenic and serious mountain bike scene. It’s great for practicing climbs, bombing hills, or a scenic picnic. I could go back again and again, and I did. Plus it’s adjacent to Palos Verdes Dr. South, one of the most scenic drives in town. And yes, I did beat my dad home. I got home so much earlier, my mom thought he had gallivanted off and wasn’t planning on coming home soon.